I love knee socks. Always have, always will. 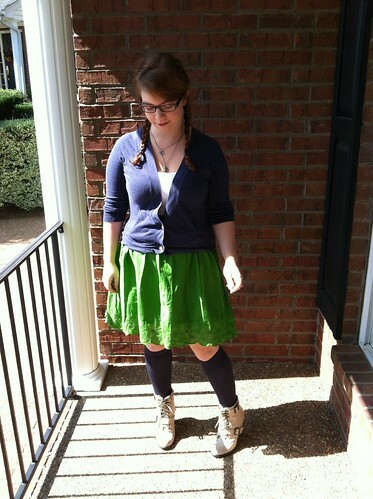 It brings back happy memories of high school, wearing my plaid uniform skirt and my beloved knee-highs. Of course, wearing them as a young adult…not quite the same, but still. I love them. And with the weird weather, it’s a nice compromise between tights (too warm for that!) and bare legs (too cold!). This was a pretty chill day-nothing really exciting happening. Mostly everyone is just ecstatic about fall break next week. It’s seriously all I can think about….